Our free range hens—and guineas, and ducks—lay their eggs wherever they think looks like a good spot. Unfortunately, sometimes other folks think it’s a good spot too! Not much of a problem until the time comes for setting on the eggs. Every now and then we have a “battle for the nest”, with three or four mamas all trying to set on the same nest. 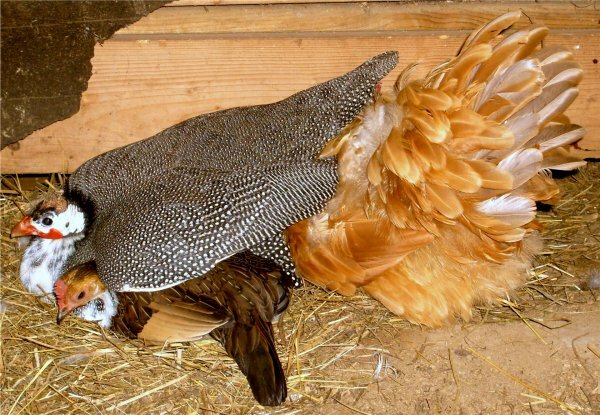 Here’s a battle royal with a Buff Orpington hen, an Old English Bantam, and a Guinea all setting together.